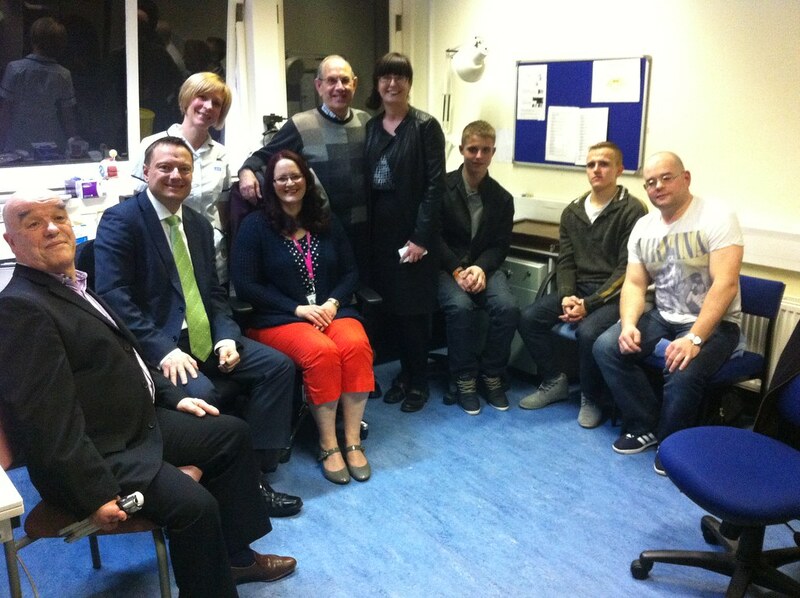 Jason visited Huddersfield Royal Infirmary (HRI) to support the vital role of Eye Clinic Liason Officers (ECLOs). Jason met with Huddersfield’s ECLO Debra Bayerstock who provides practical and emotional support to eye clinic patients during and after treatment. Jason also spoke with some of the people who have been helped by this service. The visit was organised by the Royal National Institute of Blind and more information can be found by clicking here.